Buy Buckets sells wholesale container orders to trade customers, as well as smaller orders to individuals in the UK. Everyone gets the best deal when they go direct to the manufacturer and cut out the middlemen importers. Plus you’re supporting British industry so you can be proud whenever you put, pour or store your high quality H&O plastic bucket. 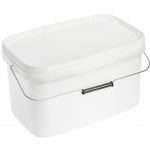 These rectangular buckets come in lots of different sizes and quantities. 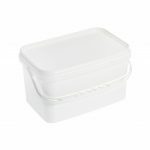 They are suitable for a range of food and non-food uses so whether you own a cafe or a paint factory you can be sure about buying from BuyBuckets. 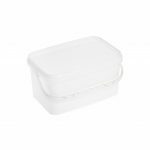 Ask us about getting your company logo printed on a plastic container. Call: 0151 639 0002.